Since most web hosting is done on Windows or Linux servers, finding a data center that offers Mac hosting can be a challenge. Green web hosting is a pretty new concept, so information can be scarce. This article will go over everything you need to know to find a good green web hosting service for your Mac network. 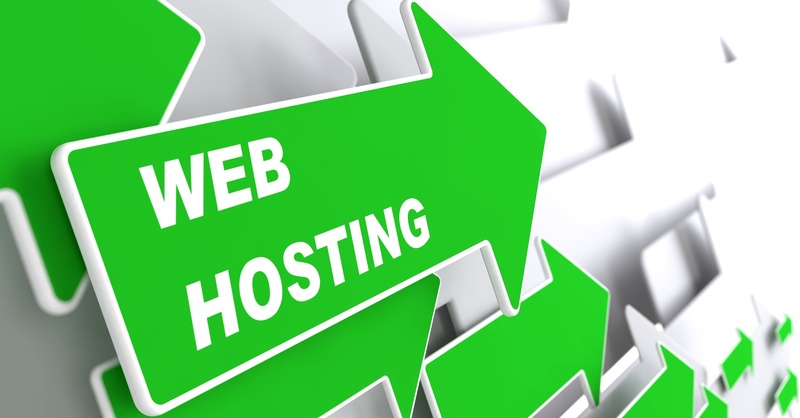 Green web hosting is just like any web hosting service that lets you upload your websites. The difference is in the way eco hosting runs as a business. To offset the resources they use, green web hosts invest in renewable energy. See, most web hosting services use the cloud just like you or I do for our personal data. Since web hosts often outsource their hardware, they can’t control whether renewable energy sources are used. So How Do They Benefit the Environment? Renewable energy certificates (REC) are printed when 1-Megawatt hour (MWh) of electricity is put into the grid by renewable resources. These certificates can be traded like any other financial instrument. So while a web hosting service may rely on a data center burning fossil fuels, it will use its income to invest in renewable energy. It’s like having someone fill in for you at work. Since you can’t be there, you send someone to do the work for you. Carbon offsets are another way for web hosts to outsource their environmental work. Unlike RECs that only deal with electricity, carbon offsets represent 1 metric ton of emissions avoided by using clean energy sources. Most of the money being spent on carbon offsets are by businesses. These businesses may not be buying for the sake of marketing themselves as green. Some businesses create so much greenhouse gas emission that they have to buy offsets to bring them under federal and state limits. You or I could buy carbon offsets if we wanted to. Some individuals and businesses, like web hosting services, will buy carbon offsets for the sake of contributing to the reduction of carbon dioxide in the atmosphere. While it’s a much smaller market, businesses like web hosting are voluntarily buying carbon offsets to market themselves as green as well as possibly reduce their carbon imprint or even put it in the negative. Carbon offsets became popular with the signing of the Kyoto Incentive in 1997. The Kyoto Incentive states that because 1st world countries are the main contributors to excessive greenhouse gases, they are responsible for keeping it under control. So carbon offsets stepped up as a way for businesses to keep their carbon footprint to a minimum. How Do We Know Any of This Is Helping? When you outsource anything it can be hard to keep track of what is actually being done. RECs and carbon offsets are no different. So how do we know all this money is really going to reduce emissions? The Clean Development Mechanism (CDM) issues certified emission reduction (CER) credits. An organization earns CER credits by sponsoring emission-reducing projects in developing countries. It’s easier to help in the building of new energy efficient projects than it is to try and replace older, less efficient equipment. The CDA coupled with its standardized measure of emission credits was the first of its kind. It suddenly made complying with emission limits easy for companies that didn’t know how to cap their waste without hurting business. But RECs and carbon offsets aren’t the only way web hosting services can reduce waste. What Is Adaptive Green Hosting? Web hosts can use less energy as well as using energy efficient equipment. Web hosts also experience spikes in customer traffic. By setting up their system to use the bare minimum amount of energy while use is down they can save a ton of energy. With so much competition out there, marketing yourself as a green company can put you ahead of the game. More and more customers and companies want to work with organizations that are environmentally responsible. Since e-commerce takes away the need for a brick and mortar store, businesses are looking for new ways to show they give back. Being green could be what makes a customer select you over a competitor. Since most green hosting is close in price to regular hosting, it’s an easy choice that can add a lot of value to your company. If you are looking for ways to cut down your tax bill, going green can be a great start. Government at both the local and federal levels offer lots of tax cuts and rebates for companies that make a commitment to going green. While your hosting server doesn’t need to run the same OS as your computer, Apple works best with Apple. This is especially important for web developers who work exclusively with OS X. You can easily create group policies for all your computers when both your client and server machines are running OS X. Running administrative tasks is much easier using Apple’s Open Directory than it is to integrate Windows Active Directory into your Mac network. You’ll find that all the little hiccups and bugs that happen from a Windows or Linux machine breaking your apps aren’t a problem on a Mac server. Green web hosting relies on RECs to do the heavy lifting for them. But green cloud hosting is beneficial on its own. Green cloud hosting is a buzzy term that refers to the energy saved by providing services over the cloud. While hard copies will always have a place, the cloud has cut down on the need for physical copies of documents. Businesses can also waste a lot of paper on employee communication. Instead of leaving post-its and handwritten notes around the office, the cloud lets us send and receive messages straight to our phones. Running servers takes a lot of electricity. The cloud takes that burden off businesses and puts it on the service provider’s shoulders. Moving your servers offsite can immediately save you money. Not only do servers use a lot of electricity, but they require a team of IT experts to keep them running smoothly. A young business may not have the resources for an in-house data center. But they can still compete with a business many times their size. The cloud gives you way more computing power you could ever build on your own for a fraction of the price. Many companies routinely fly their employees around the world for conferences and meetings. This requires the use of thousands of gallons of jet fuel and gas for cars. Video conferencing can give you the same effect for pennies on the dollar. Dematerialization (DEMAT) is the process of using the cloud to reduce the need for in-person meetings and other time and resource intensive activities. Everything from stock certificates to currency can be turned into nothing more than a number on a screen. Making simple repetitive tasks automated saves the energy an IT worker would use making manual changes. Automatic data duplication, storage virtualization, and storage convergence all cut down on the physical space a data center needs. That’s why the green cloud computing often refers to the money, or green, data centers save by using efficient processes and equipment. Who Are the Best Green Web Hosting Services? You want someone who takes security very seriously. Someone who guards their data behind thick concrete walls, locked rooms, and copious amounts of cameras. This way, you’ll never have to worry about a slick stranger sneaking away with all your data. If you’re storing important data on your mini, like your website and all your customers’ credit card info, you’re going to want to be sure only authorized personnel can get to that device. Just because a company tells you their servers are secure, doesn’t mean they are. Find out how they do it. See if the company has had any cybersecurity breaches in the past, and if they do, find out what happened and how they corrected the problem. Internet speeds vary widely and your business may have a slower than average connection. You want a hosting company with the strongest internet connections and who can be immediately on the scene in the case of an outage. It’s important to know that your internet hosting speed has nothing to do with the hosting company’s speed. Even if you have a fast internet connection, your website can still load slowly if your hosting company has a slower connection speed. Data centers tend towards areas with low incidences of natural disasters. If you’re in an area that has a history of earthquakes, flooding, or wildfires, outsourcing your mac mini will save you a lot of grief in the case of an emergency. Don’t just assume your data will be safe in these instances. Others don’t. Some hosting companies have a solid back up plan for dealing with natural disasters, others don’t. Also, some web hosting services require expensive upgrades to a virtual private server (VPS) when you need more computing power. Find out how they handle package upgrades for customers who move from shared to private hosting. Some web hosting companies use solid state drives (SSD) which are super fast and reliable. Some use caching technology to keep track of your most frequently used applications so they load faster when you need them. This is an easy point to overlook when you’re shopping for the right company. But it’s hard to ignore when you accidentally delete something or change a setting and need to revert to a previous version. Make sure your account will be hosted on its own segmented part of the server. This way, you’ll never have to worry about some other business impeding on your hosting services. This also allows your hosting company to constantly scan for potential threats to their network. This is an offensive approach towards cybersecurity that has a better chance of protecting your data. It’s vital for preventing cross-account data breaches. Adaptive hosting means that every time the hosting company pulls electricity from the power grid, they invest more than they use in renewable energy. This way, your web site does its part in promoting renewable energy. While you’re looking for the best company, Mac Highway is definitely a company you should look into. They’re a hosting company founded FOR Mac users and BY Mac users. Check out the company page for more about our services. Is Green Web Hosting Really Worth It? Moving to a Mac hosting service makes crashing apps a thing of the past. Your customers can get the full range of the services your site has to offer now. And because you use green web hosting they feel confident spending their money at a business that cares. As much as Linux and Windows servers try to work with Apple’s software, there are just some times when they are on different pages. Even sending and receiving email can be a problem when your OS isn’t operating at full potential. Are you ready to finally start sending email from Yosemite without wondering if it went through? If so, read this article and seamlessly send and receive email! Remember, your investment in your email system is an investment in customer relationships. Start getting all your messages and see the improvements it makes today!